Lotus Notes Migration for SharePoint - Quest Discovery Edition free!!! Good news!!! Planning to migrate Lotus Notes to SharePoint, Quest Discovery Edition helps your discover, usage analysis, data analysis, design analysis, template comparison, reporting and data export capabilities with no restrictions as well free support for 30 days. Those need to discovery of their existing Notes/Domino environments can perform complete analysis absolutely free. This download also provides limited trial access to the functionality of Notes Migrator for SharePoint Standard Edition and Premier Edition. Database migrations are restricted to 10 records per database and are limited to non-production use. 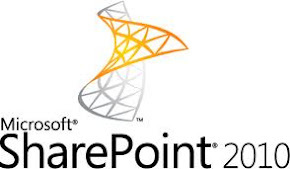 SharePoint Server 2007 out of the box feature provides Usage reporting is a service which helps site administrators, site collection administrators to monitor statistics about the use of their sites. Usage reporting also provides usage reporting for search queries. SharePoint provides following pre-define list. Requests and queries in the last day and the last 30 days. Average number of requests per day over the last 30 days. A chart of requests per day over the last 30 days. A list of the top page requests over the last 30 days. A list of top users over the last 30 days. A chart of top referring hosts over the last 30 days. A chart of top referring pages over the last 30 days. A list of top destination pages over the last 30 days. Top queries for the last 30 days (if search usage reporting is enabled). Search results top destination pages (if search usage reporting is enabled). Number of queries per day over the previous 30 days. Number of queries per month over the previous 12 months. Top queries over the previous 30 days. Top site collections originating queries over the previous 30 days. Queries per search scope over the previous 30 days. The above reports provide basic information to site owner to analysis, however this reports not inadequate, the chart are not very basic. Incase if you are looking for alternative solution you may think CardioLog Lite for SharePoint 2007 includes a set of 3 basic SharePoint usage reports: Unique Users, Visitors and Page Views. Additional trial (14-days) reports are provided with the free download.